Alphabet pins with trading cards—collect, trade, and create. Dimensions (in packaging): 4.5" x 2.5" x 0.1"
My grandson started kindergarten so got this for him . These were perfect for my grandsons’ backpacks. Stickers, friendship bracelets, shells, glass figurines—you name it, kids will collect it. Now, your child can add Pin Pals to their trove of treasures. But instead of stashing these fun enamel pins in a drawer somewhere, your little collector can pin them to his or her backpack, pencil case, or even on a bulletin board. 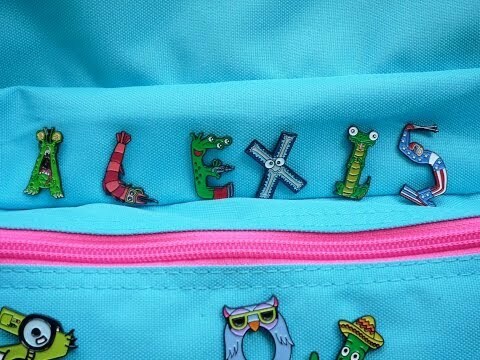 Inspired by the ideas and drawings of sisters Ava and Alexis Ehrlich (10 and 8 years old), Pin Pals come in a variety of imaginative designs shaped like the letters of the alphabet. 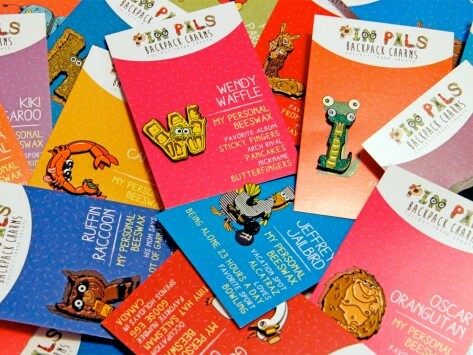 Each Pin Pal is full of personality and includes a trading card featuring its name, likes and dislikes. From Arnold Alien, whose favorite food is Moon Pies, to Zeke Zombie, whose biggest fear is Vegetarians, Pin Pals bring whimsy and humor from A to Z to school and back again. Finally—a collectible that won’t collect dust on a shelf. Created for kids, by kids, these pins make a great gift for birthdays, holidays, and just because.